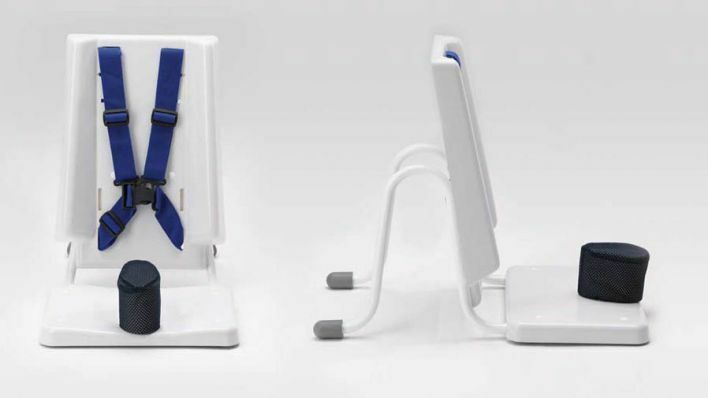 Splashy is a portable bath seat for kids with disabilities. It makes their bath-time a ton of fun and a lot easier for grown-ups. It’s a portable, lightweight and supportive seat that works for bathing or messy games wherever you go. You can even take it outside for messy games, or on your next roadtrip to granny’s house. Little bath buddies get more space to play together now. Splashy is really compact and sits nice and low in the bath, so it uses less space and less water. And it gets better for mums and dads too. Now that you can lift and store Splashy easily, there’s no bulky equipment permanently hogging the tub anymore. You’ve got your bath back! Splashy’s 5-point configurable harness keeps kids secure, but can also be switched to 3-point when needed. Splashy sits low to the base of the bath so the child can sit in the water. The foam bumpers can be used as a pommel or a support for the head, sides, or bottom as an anti-slide shelf. Family participation at bath time (and cuddle time afterwards) supports a child’s healthy, happy development. Research shows splish-splashing is good for your child’s communication and social skills. It helps with motor development, core strength, balance and co-ordination. It also creates opportunities for sensory activity and problem solving. Your little one will stay safe and supported among all the bubbles and giggles. 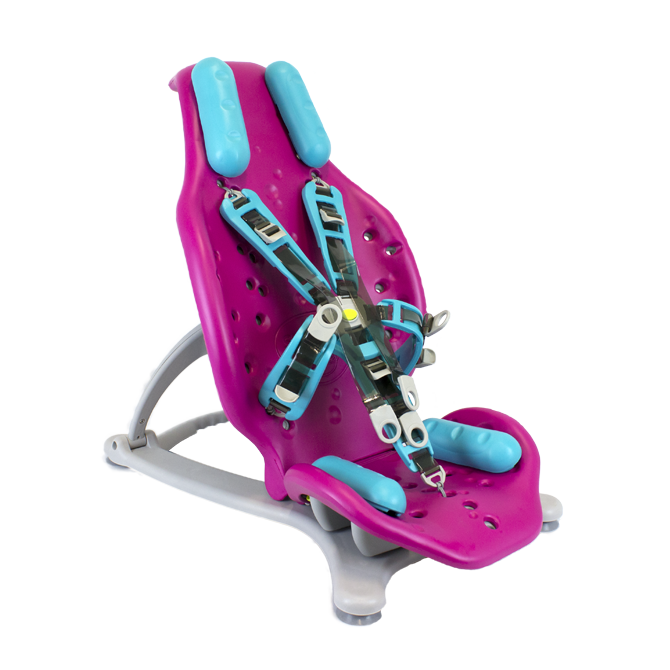 Splashy adapts to your child’s postural support needs, with the option of a 5-point harness (just like our super-popular GoTo Seat), or the 3-point pelvic support. There are even four detachable bumpers to add extra support wherever it’s needed. Staying comfy matters too. So Splashy’s warm-touch foam feels soft whether it’s wet or dry. And it comes cool colour combos, so don’t be surprised if brothers or sisters ask for their turn in Splashy. Splashy’s base unit lets you switch easily between 26 recline positions, from upright (106 degrees) to full recline (140 degrees). So you can quickly and easily adjust positions for a new game or to get that hair washed. Transferring is simple too, because you can fold Splashy totally flat when you need to. Splashy’s lightweight, detachable parts make it easy to clean. So there’s no scrubbing at heavy, awkward machinery. You won’t need anyone’s help either. Just give it a quick rinse and it’s ready for the next bath-time, weekend away, beach trip, or wherever you decide to go. Bathtime for children is an opportunity to play. Our Bath Chair has been designed to allow your child to bathe safely and securely. With its simple slimline design, the bath chair gives your child more space and freedom to bathe without restrictions. The Bath Chair comes with an adjustable harness and adjustable pommel as standard. 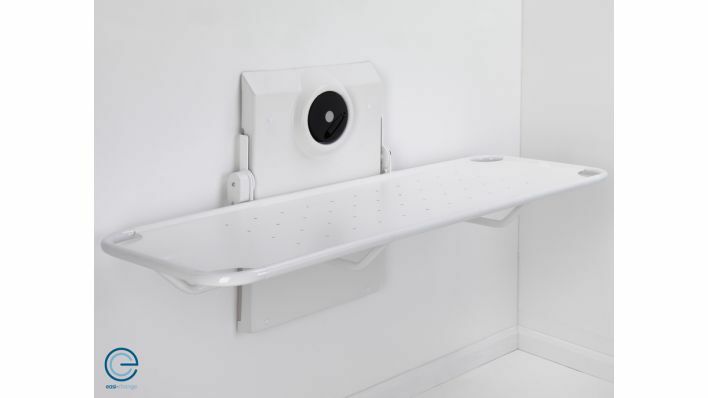 The Shower Stretcher Adjustable Height is wall mounted and does not require fixing to the floor. Its stainless steel frame with powder coated finish and vinyl cover makes it perfect for any room environment.